January 31, 2015 | by Darcy Blake | Wendy Paola Stephens will lead the crowd in a Zumba dance at Moving Day ® Silicon Valley, an annual fundraising walk event that debuts on April 25 in San Jose at Arena Green East. The dance will launch a celebration of movement that is made possible by National Parkinson Foundation and presented throughout the country. The goal of the event is to educate the community and bring awareness to the fight against Parkinson’s disease (PD). People with PD and their families have the choice of joining one-, two-, or three-mile walks. While the walks are enroute, participants can try mini-exercise sessions such as Zumba that help manage the symptoms of PD. 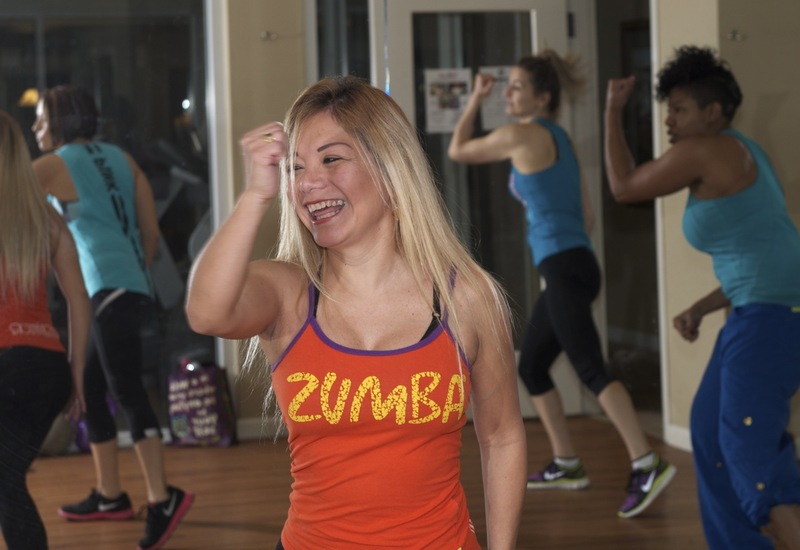 Zumba is an aerobic dance fitness program featuring movements inspired by various styles of Latin American dance and performed primarily to Latin American dance music. The choreography incorporates hip-hop, soca, samba, salsa, merengue and mambo. As mom of two in 2010, Wendy tried a Zumba class while she was searching for a work out to help her to lose her baby weight. By the end of the class she had found her passion. Wendy has been dancing since she could walk. Raised in Venezuela, Latin rhythms have been always her favorites. Growing up, she took dance and jazz but chose to pursue a career in law. After she tried Zumba she was hooked, and became a licensed Zumba Instructor in 2012. After choreographing a few dances, she taught her first class. “That was the beginning of the best journey ever,” said Wendy. “Zumba is a great workout because you use every inch of your body, people can’t stop smiling while dancing, and off course, they love to sing along. When she is not teaching Zumba, Wendy works as the administrator for a language immersion school in San Mateo, where she also teaches Spanish to preschoolers and elementary age kids. Wendy teaches at the Burlingame recreation center and also at a studio in Burlingame. Her clients are from 16 yrs old to 80 years old. “I love to motivate them, see their happy faces after class and watch how each individual progress,” she said. Join one of the existing teams such as Parkinson’s Women Support team, or start a team of your own friends and family! For more information, contact Colleen Fischer, Moving Day® Bay Area Coordinator, National Parkinson Foundation at 925-421-6737 cfischer@parkinson.org.